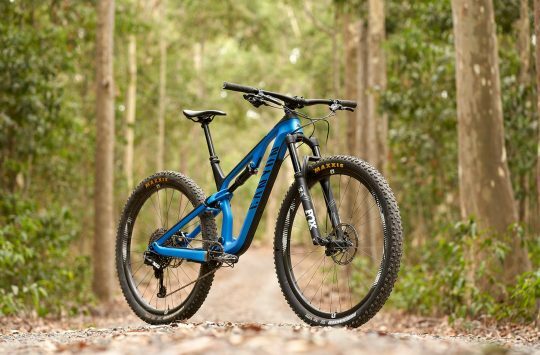 Released into the wild a little over a week ago, the Neuron CF has emerged as a brand new carbon fibre trail bike from German company, Canyon. 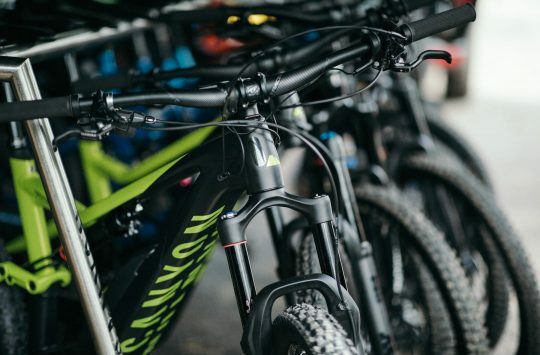 Sitting in between the 100mm travel Lux cross-country race machine, and the 150mm travel Spectral trail bike, the Neuron glides into the Canyon lineup as a mid-travel trail bike that’s designed to be lightweight, efficient and easy to ride. It has 130mm of travel at both ends, and is equipped with either 29in wheels (Medium and larger frame sizes) or 27.5in wheels (Small and X-Small sizes). Canyon’s got a brand new mid-travel trail bike, and this one’s made from carbon fibre. Joining the alloy Neuron (a bike that was updated a little over a month ago), the Neuron CF shares the same suspension travel, wheelsize and virtually the same geometry. The big difference between the two bikes is the full carbon fibre frameset, as well as the new Triple Phase Suspension design that Canyon has been busy trickling down through its full suspension lineup. 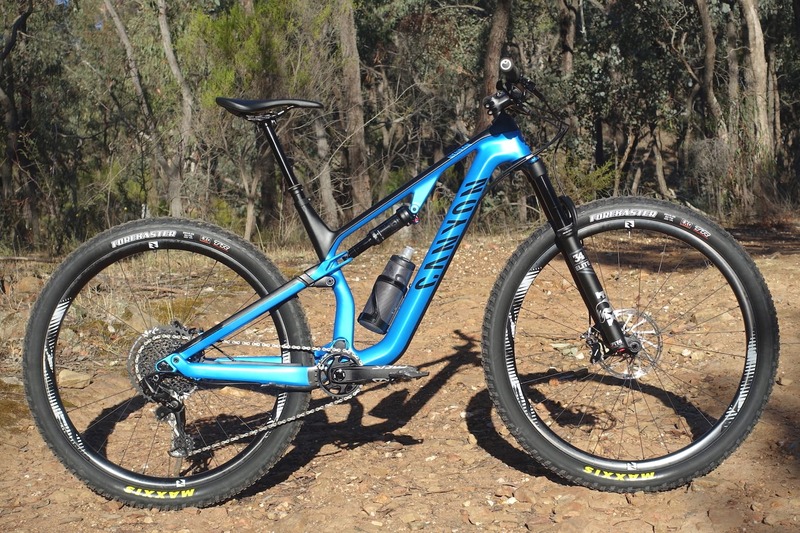 You’ll have seen this design on other Canyon models such as the Sender, Torque, Spectral and Lux. Daz went along to the launch of the new 2019 Neuron CF, and you can read his first ride report here. 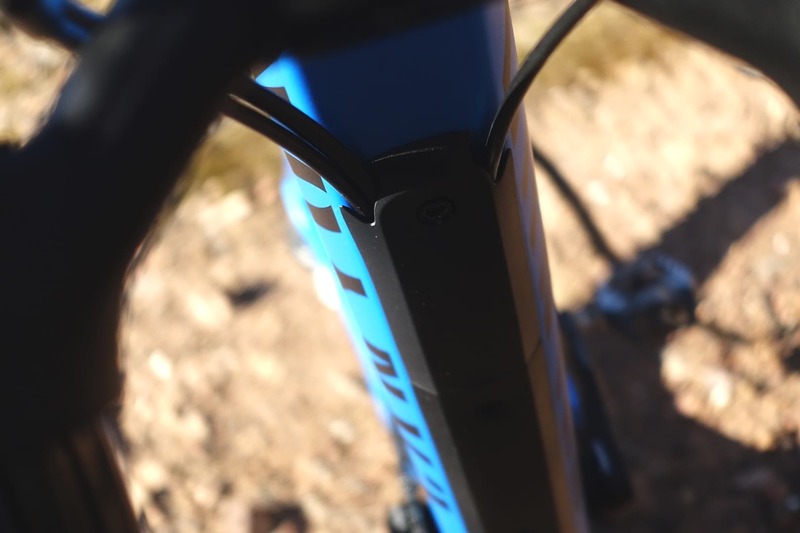 Continuing where Daz left off, we’ve just received a Neuron CF for a longer term test to give it a proper shakedown on some less exotic, but more familiar singletrack. The 9.0 SL sits in the middle of the Neuron CF range. The bike we’ve got on test here is the Neuron CF 9.0 SL, which sits smack-bang in the middle of the range. All the Neuron CF’s share the same carbon fibre frame, and strap different components to it to offer five distinct price points. 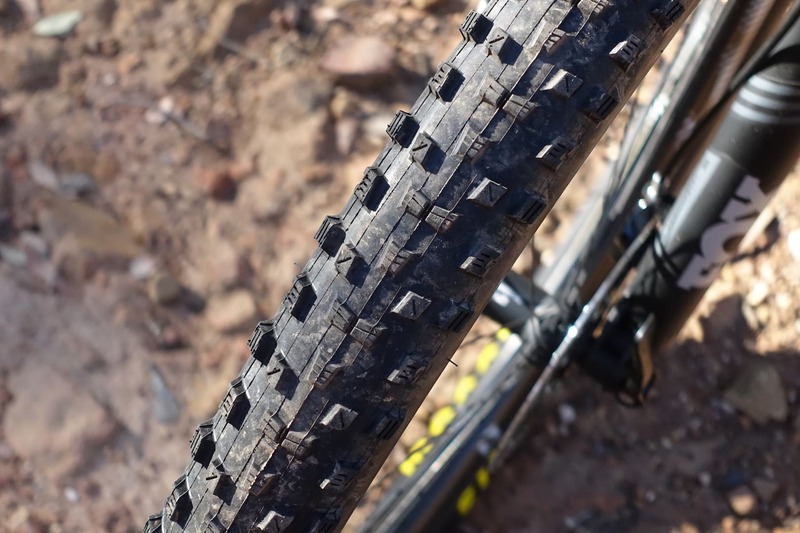 130mm of rear wheel travel. The biggest visual difference compared to the alloy Neuron is the use of the Triple Phase Suspension design on the Neuron CF. This is a four-bar suspension platform that sees a rearward pivot located forward and just above the rear axle. 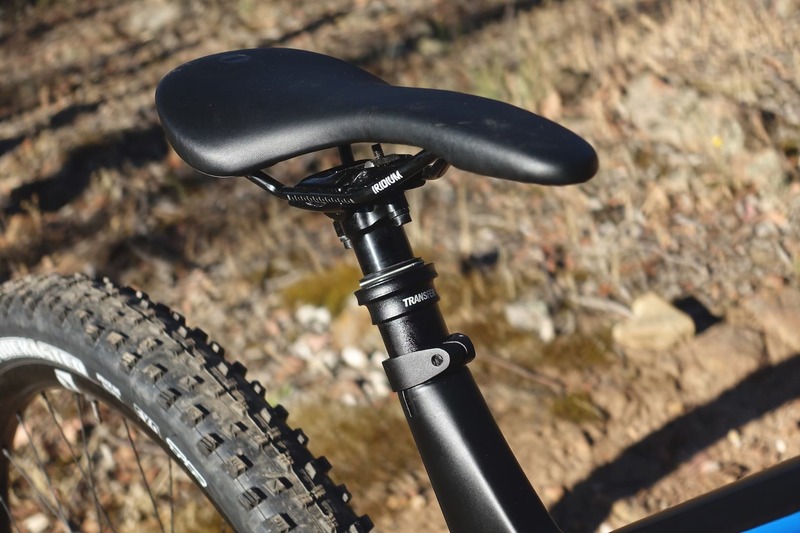 A partially hidden rocker link (black) connects the upper seatstay to the back of the seat tube, while an injection-moulded shock yoke then connects the black rocker link to the lower eyelet of the rear shock. 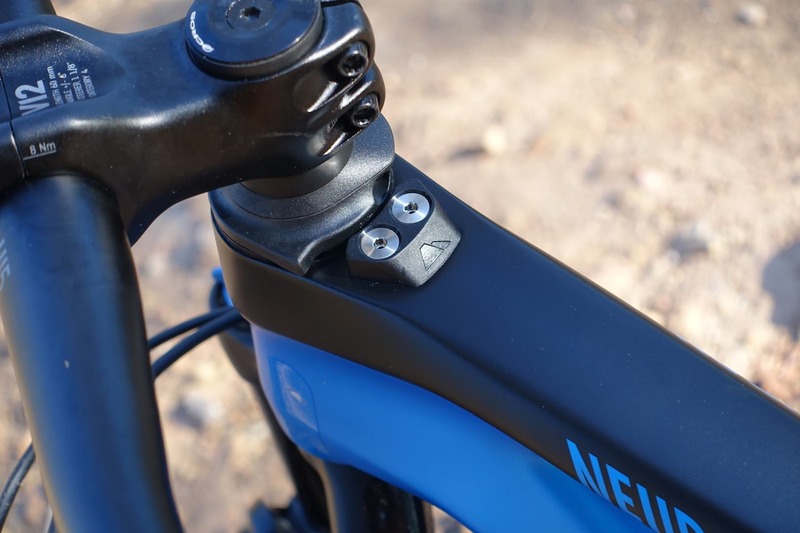 The rear shock is connected to an injection-moulded clevis that affords some very clean lines. 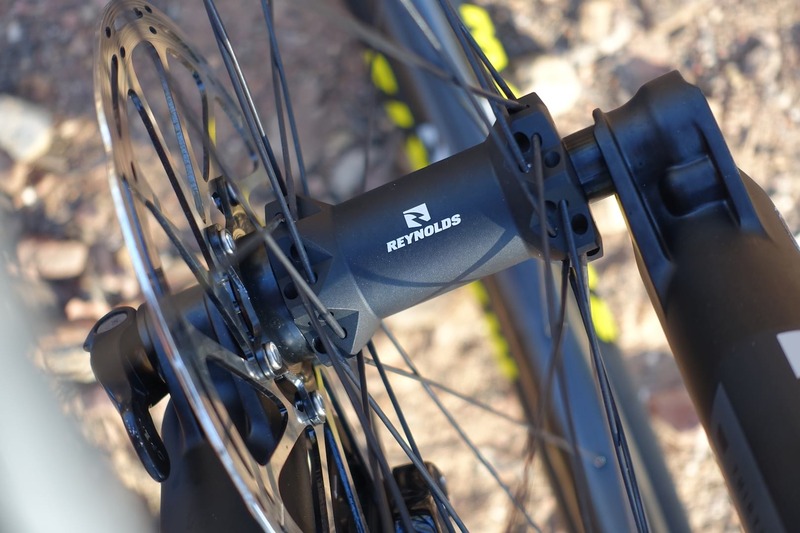 The rear shock is of the Metric variety, and sizes up at 210x50mm. That gives the Neuron CF an average leverage ratio of 2.6:1, which is reasonably low for a trail bike. 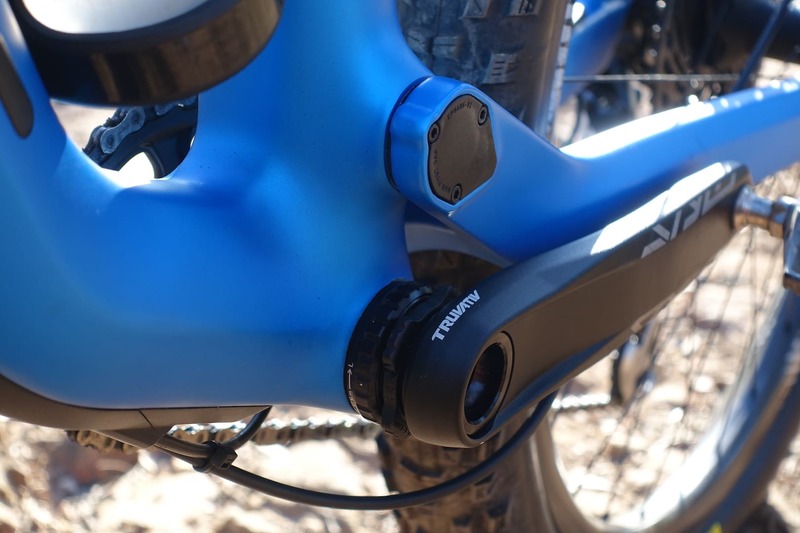 Also of note is the custom tune – Canyon has given the Neuron CF both a light rebound and compression tune for the Float DPS shock, which comes with a large volume EVOL air can. The end of the shock is captured by an injection-moulded clevis, which rotates on two cartridge bearings. Theoretically, this should deliver a smoother actuation compared to using the shock’s DU bushing. 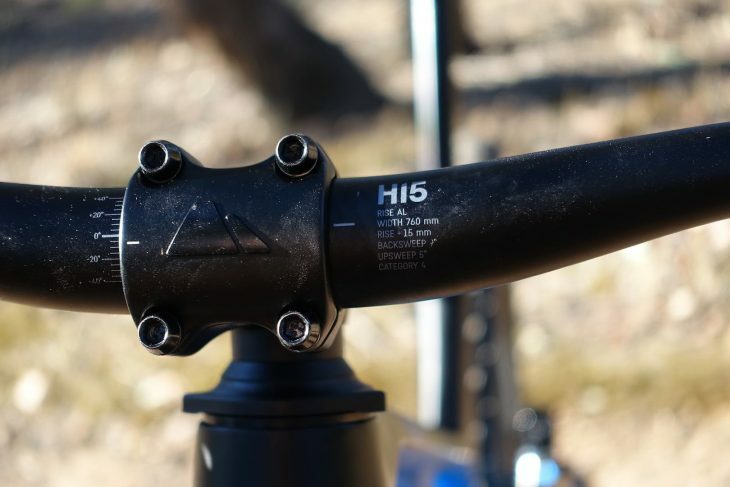 To keep the suspension setup consistent across the size range, the Small and X-Small frame sizes still feature the same amount of travel, but rely on unique kinematics and a smaller shock that will better support lighter riders. Bolt-on pivot covers and a threaded BB will be welcome features for all-weather riders. 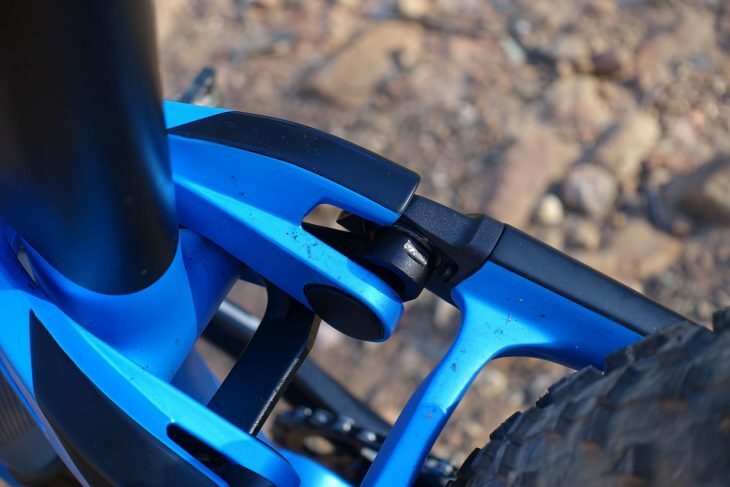 The black rocker link tucks in behind the seatstays, where the two cartridge bearings are located. The blue shock yoke extends around the outside of the seatstay to give a very clean, integrated look. It would appear that there’s a lot of potential for mud to accumulate around here though. 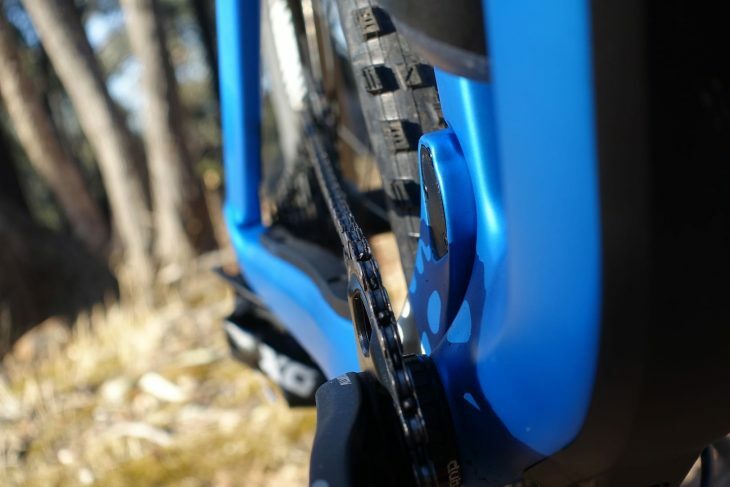 The Neuron CF gets bolt-on armour to protect both the carbon chainstay tube, and the gear cable, from chain slap. A compact 30t chainring to drive the big 10-50t cassette out back. 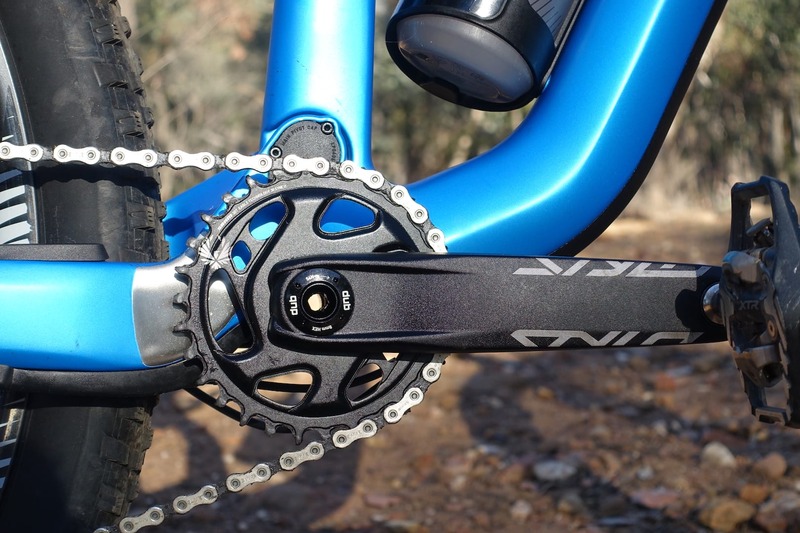 All but one of the Neuron CF models come with 1×12 drivetrains. 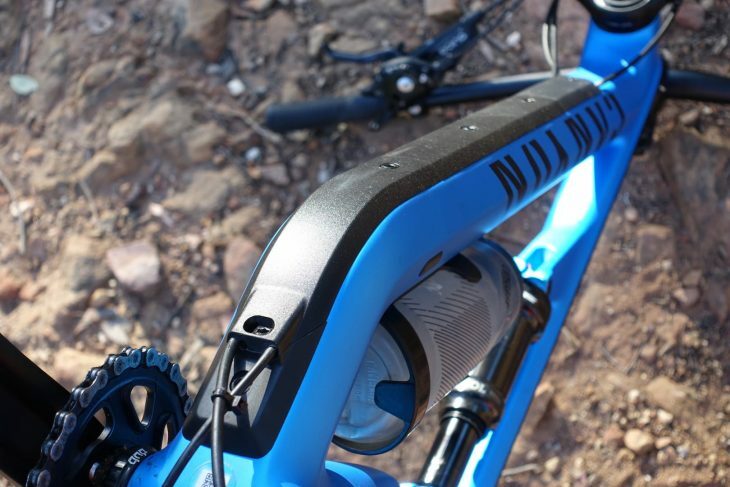 Unlike many other new frames that are 1x only though, you can mount a front derailleur in here if you so desire. Plenty of room for a water bottle inside the mainframe – a design feature that Canyon wanted to provide around its Triple Phase Suspension platform. 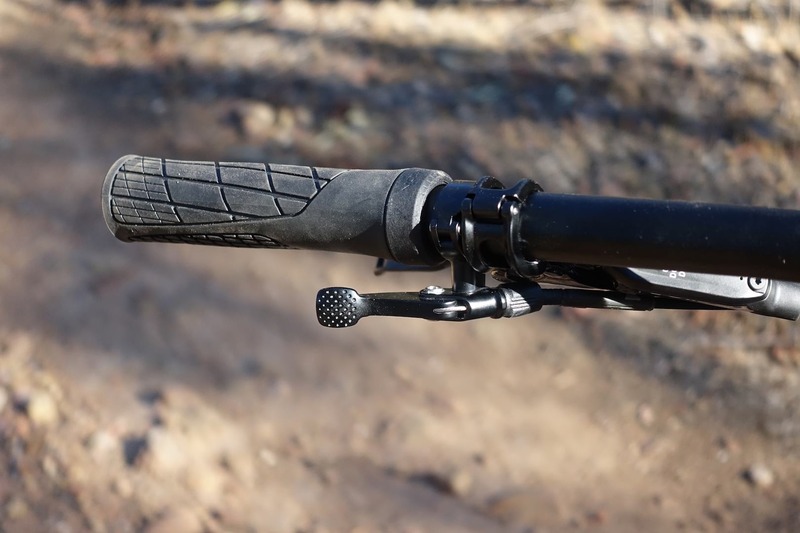 The Impact Protection Unit stops the bars from over-rotating and sending the brake/gear levers into the top tube. A closer look at the entry for the cable tunnel underneath the downtube. The bolt-on cover doubles as frame armour, and allows for clean routing with easy access when the need arises. 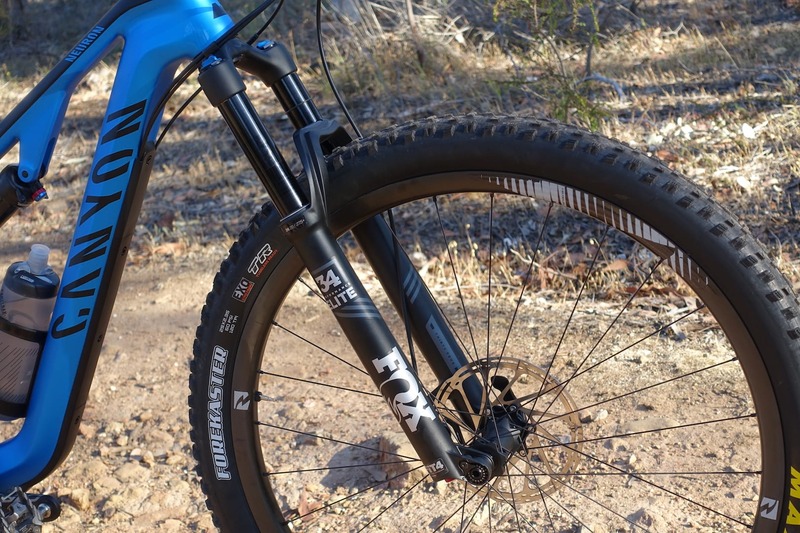 A 130mm travel Fox 34 Float fork is plugged in up front, complete with Boost lowers, big tyre clearance, and a 51mm offset. Fancy FIT4 damper with low-speed compression adjustment. Canyon is spec’ing Reynolds wheels on the Neuron CF 9.0 SL, which are built around Reynolds’ own straight-pull hubs. 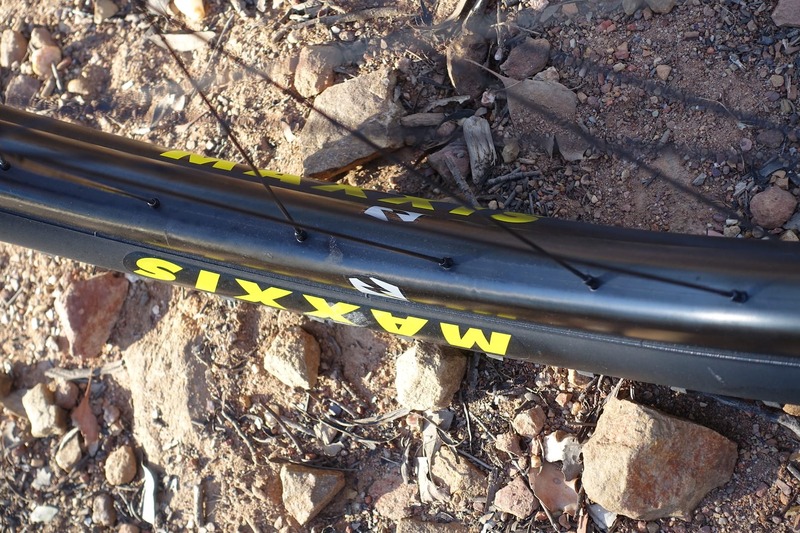 The TR309 carbon fibre rims have a broad internal width of 30mm, and they’re set up tubeless out of the box. Fast-rolling Maxxis Forekaster tyres in a 2.35in width. 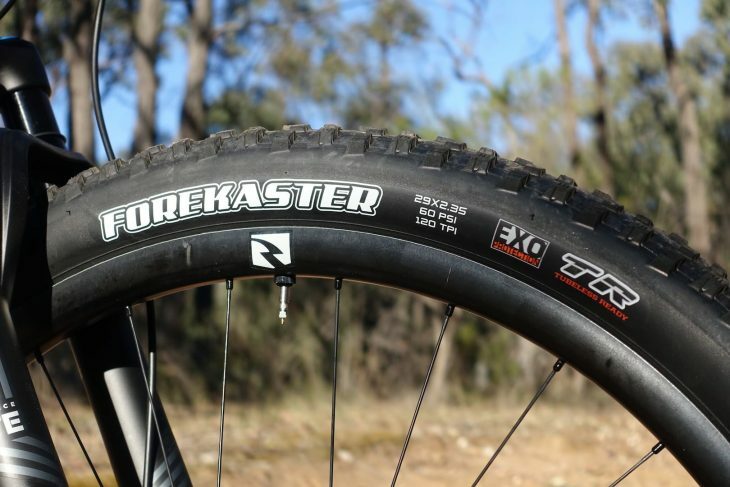 Note: our test bike is fitted with dual-compound tyres, though stock bikes will come with the higher quality triple-compound version. Maxxis calls this an aggressive XC tyre that’s designed for loose or wet conditions. 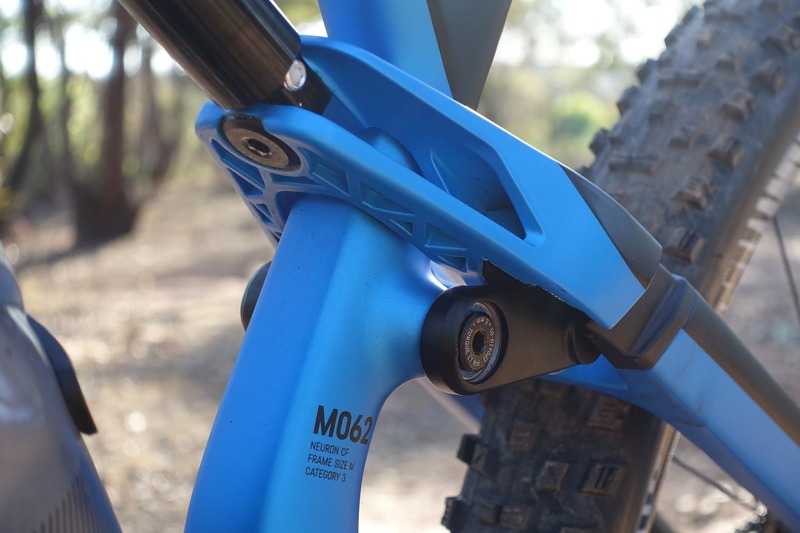 There’s a 150mm travel Fox Transfer dropper post, topped with Canyon’s own saddle. 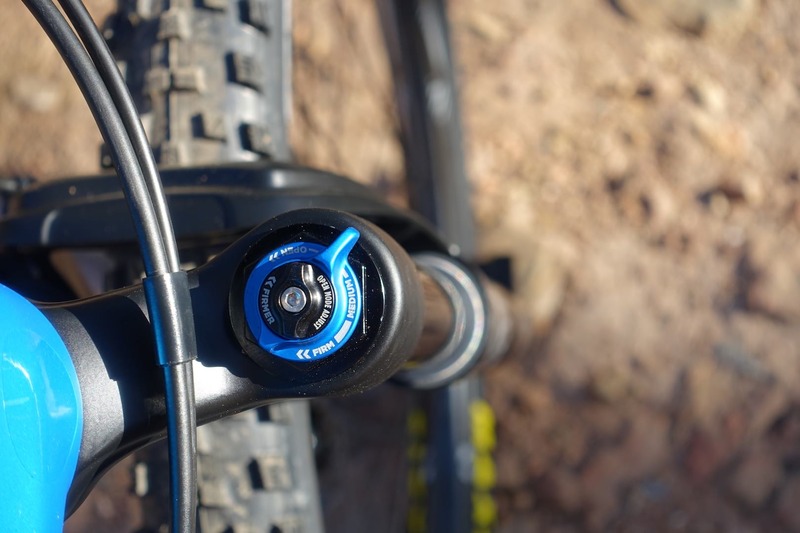 And that’s mated to Fox’s discreet under-the-bar 1x dropper remote. 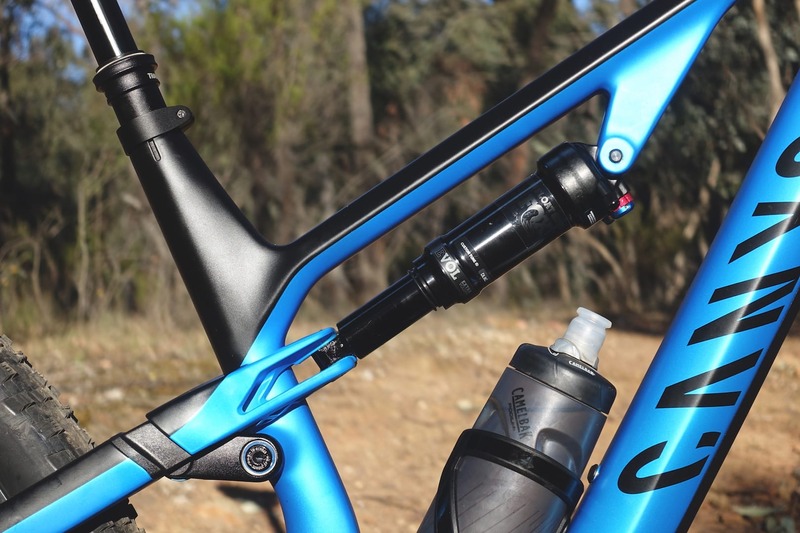 Canyon finishing kit, with a 760mm wide riser bar and a 60mm long stem. 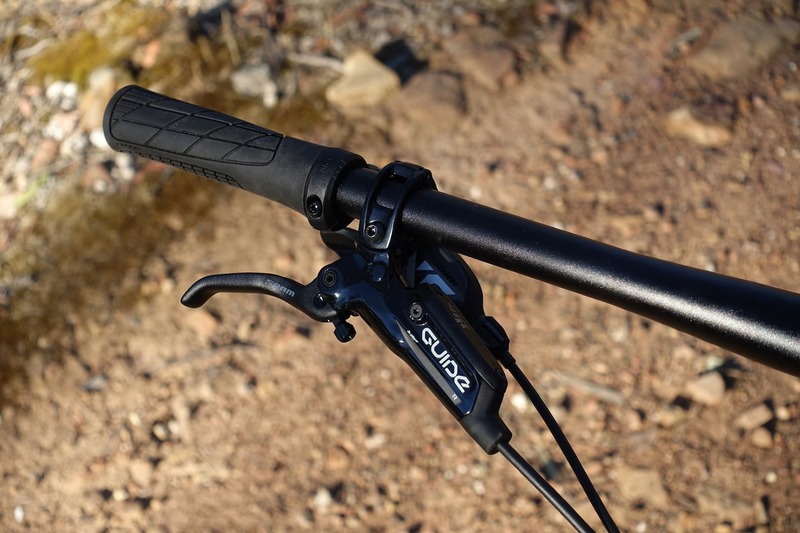 SRAM Guide R brakes take care of the stopping, with a GX Eagle shifter doing the clicking. 2019 Canyon Neuron CF geometry. 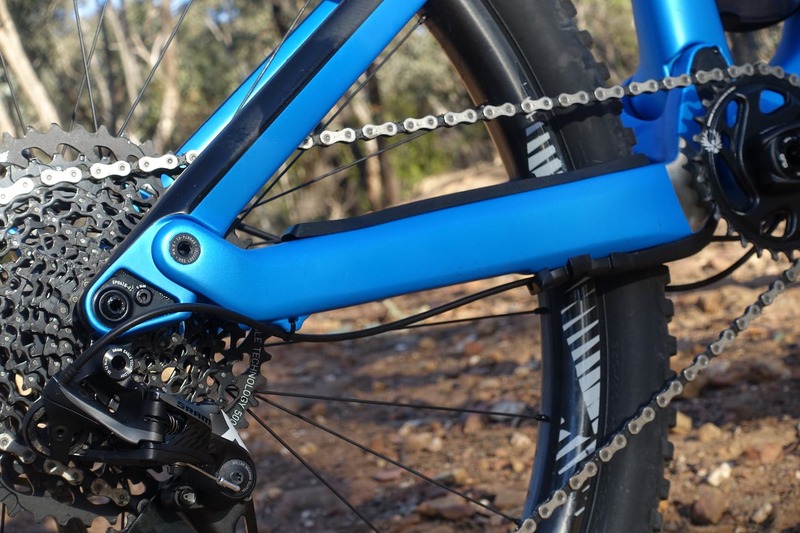 Consistent with Canyon’s approach with other full suspension models, the frame geometry on the new Neuron CF isn’t as radical as some other bikes within this travel bracket. 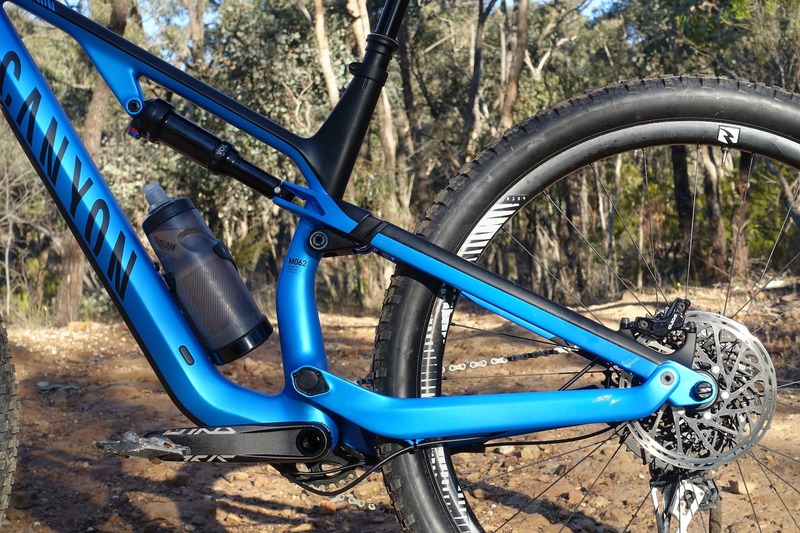 The GT Sensor and Trek Fuel EX are two 130mm travel trail bikes that are notably slacker in the head angle, and longer in the reach compared to the Neuron. 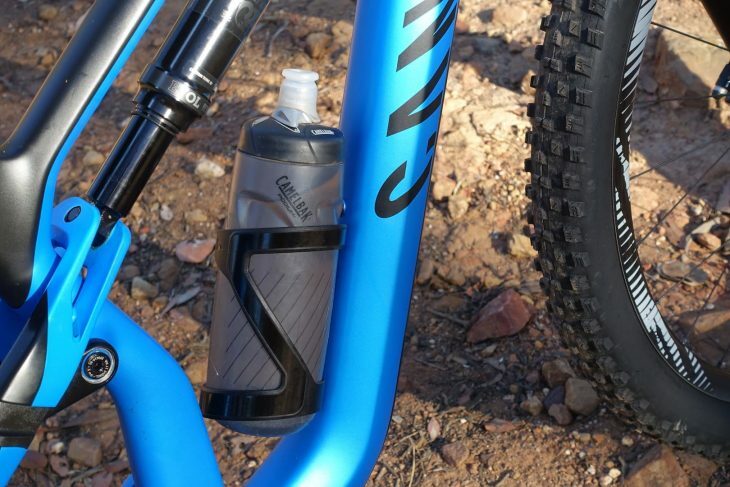 However, Canyon has stated firmly that it hasn’t created a hooligan bike in the Neuron – this isn’t meant to be an expert-only bike built for the Dudes Of Hazzard. 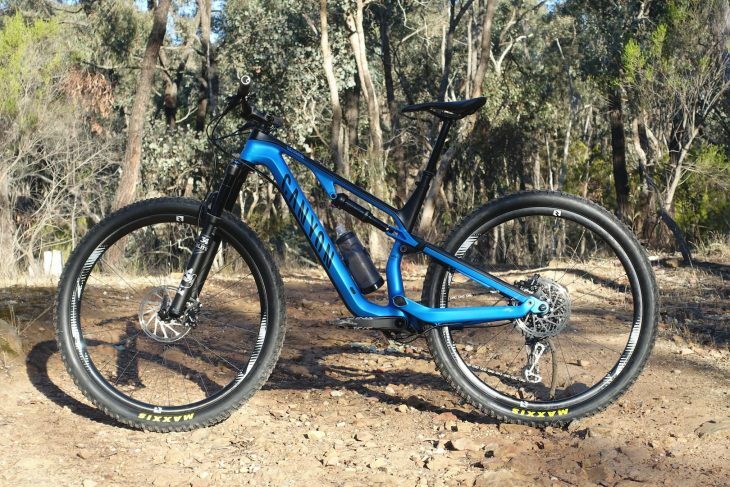 Instead, it’s pitched as a more comfortable, pedal-friendly trail bike that’s pitched at a wider variety of riders and skill levels. All together, it does add up to a pretty suave-looking bike that (as is typical for Canyon) is also well spec’d for the money. As to how it comes together on the trail? We’ll be putting this one through its paces over the coming weeks to bring you the full in-depth review. In the meantime you can check out the full spec list below, or head to Canyon.com for more info. And if you’ve got any questions about the new Neuron CF, then let us know in the comments section below! Hi Wil. It seems strange to me that the AL version is newly released but doesn’t have the Triple Phase suspension design – what are your thoughts on this? I don’t recall seeing a model of bike with different suspension designs between Al and Carbon before. You said “The GT Sensor and Trek Fuel EX are two 130mm travel trail bikes that are notably slacker in the head angle…”. The Fuel EX’s head angle is either 67.0° or 67.7° (depending on the Mino link position) which falls either side of the Neuron’s 67.5° but it does have a longer reach. @paulcd – It is pretty interesting, especially as Canyon released the 2019 Neuron AL only about 6 weeks before it released the new Neuron CF. Like you , I was surprised to see the alloy Neuron retain the same frame layout and suspension design as the previous iteration. 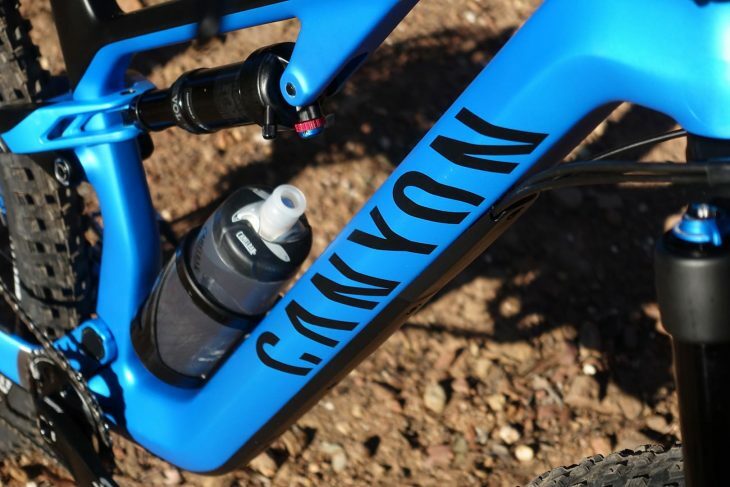 I would guess that this decision was likely cost related, or time pressures in getting both new alloy and carbon frames to release at the same time (Canyon has released A LOT of new bikes in the past 12 months!). Probably a bit of both. 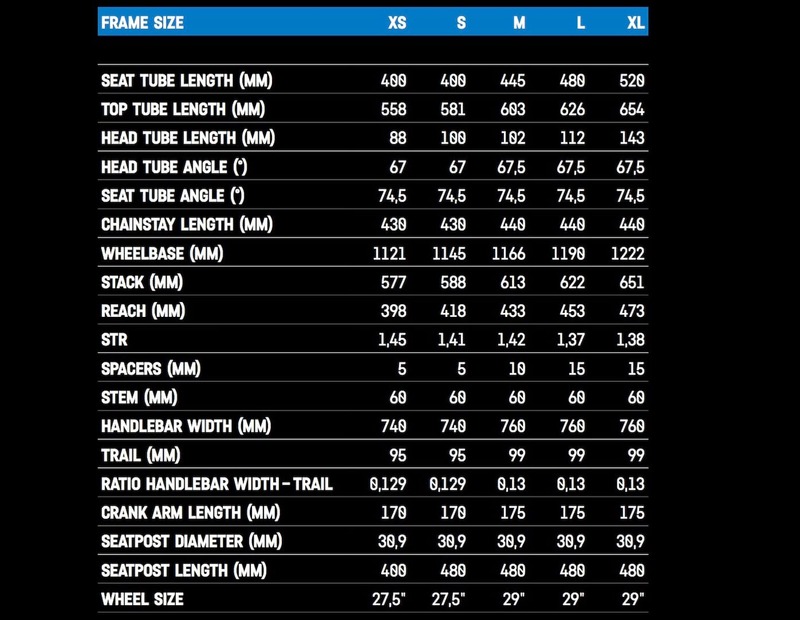 For anyone else reading this, be wary of Trek’s occasionally confusing geometry chart. A Medium Neuron CF is comparable to an 18.5in Fuel EX, which has a reach of 450mm – quite a bit more than the Neuron’s 433mm. 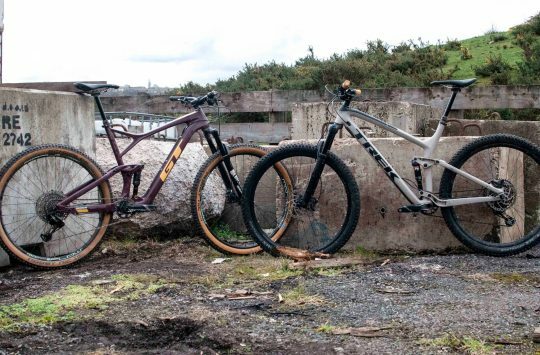 But, those are all just numbers on paper – I’m hoping to get my hands on either the Trek or GT to see how they compare on the trail to the Neuron CF. Stay tuned!